If you own Gionee Elife E7 Mini, please do leave your feedback too. Gionee  the Chinese manufacturing company that made waves when it launched the Elife E6 not too long ago has launched another value for money phone. This time it is the mini version of Elife E7. The Elife E7 mini may bear some resemblance to its older sibling, albeit in a compact package. But the main distinction comes with the rotating 13 MP camera, which can be used as a rear or front camera (as seen in oppo N1). Thus you can efficiently the high-resolution sensor by facing it towards you for video calls and selfies. Flip it back, and it can be used for typical photography. It supports video recording at 1080p. The Elife E7 mini sports a 4.7-inch HD IPS display with a resolution of 1280 X 720 pixels, that translates to a pixel density of 312PPI (compared to the bigger 5.5 inch display and higher 400PPI of its sibling). Nonetheless, the E7 minis display is quite sharp. The smartphone is powered by the MediaTek MT6592 chipset that bears a 1.7 GHz true octa-core processor (where all 8 cores can work at same time) and 1 GB of RAM. On the software front, the device runs on Android 4.2 Jelly Bean (the current latest being KitKat 4.4) wrapped under Gionees Amigo UI. 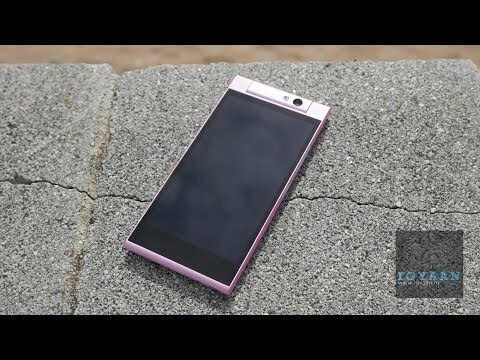 The UI is expected to be better in this phone compared to Elife E6s. Other features include 16GB of internal storage, a non-removable 2,100mAh battery and connectivity options includes dual-SIM card slots, 3G support, Wi-Fi, Bluetooth 4.0 and NFC. The phone does not have an external SD card slot but the internal storage should be enough for most of the users.